Plan meals quickly and easily. Immediately start wasting less food and less money. 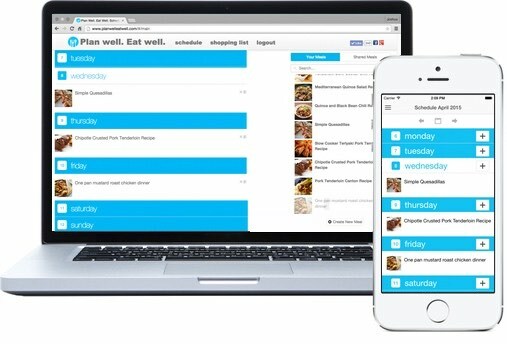 Grab Plan Well Eat Well for your phone! It's free and simple to start meal planning today. Looks like there was an error while logging in! OR One-click, instant sign up with Facebook! Adding meals to your meal plan has never been easier. Just Drag and Drop! No more last minute "what's for dinner?". No forgetting things at the shop. Pick from meals shared by the community, or add your own!